Greek islands boast endless summer sunshine, sandy beaches, lively tavernas and friendly Greeks. It's all true, but surprises await the unwary. Seas strewn with plastic bags and filthy roadside bins also typical. Greek holiday hotels and apartments vary from pokey boxes to spacious palaces. Breathtaking sea views can mean an uphill slog while a central location could be above an all-night music bar. Crete is the largest and most southern of all the Greek holiday islands and has an interesting history, busy seaside resorts, pretty villages and a charm and character that will encourage you to explore this island of contrasts. 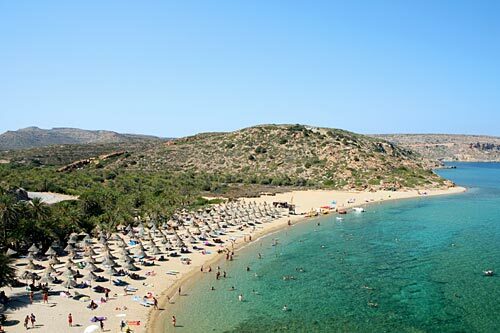 Crete holidays have been popular with the British for many years and offer variety and Greek charm. Crete lies at the point where the continents of Europe, Asia and Africa meet. It is the fifth largest island in the Mediterranean with an area of over 8,000 square kilometres. The island of Crete sits on an east-west axis and a length of nearly 260km, a maximum width of 60kmand a minimum width of only 12km. 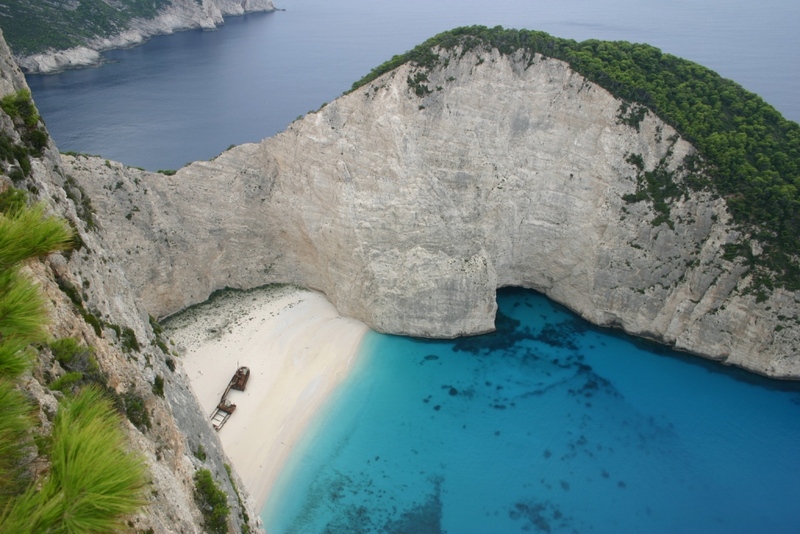 Zante holidays, also known as Zakynthos. Holidays on Zante feature a strikingly beautiful island off the west coast of the Peloponnese noted for its spectacular sandy beaches, sunny climate and relaxed, friendly atmosphere. Zante/Zakynthos holidays offer something for all tastes and ages, with plenty of lively fun for younger visitors and a good selection of family holiday destinations. Mykonos holidays have a worldwide reputation. Mykonos holidays feature the liveliest and most popular of the Cyclades; a small hilly Greek island of great contrasts with amazingly brilliant light. Holidays on Mykonos are blessed with an exceptional amount of fine beaches and feature a famously lively clubbing scene. A cosmopolitan atmosphere, splendid beaches and high-energy nightlife have made Mykonos holidays internationally famous. 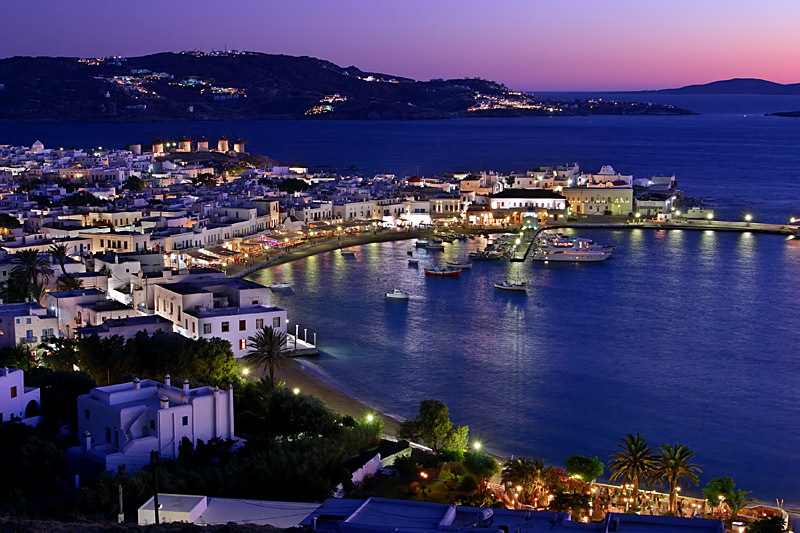 The vibrant gay scene in Mykonos Town ensures gay holidays on Mykonos are particularly popular. The focus for many Mykonos holidays is amazing, picturesque Mykonos Town, packed with stylish cafes, trendy cocktail bars and romantic waterfront restaurants in Little Venice. Mykonos holidays in beach resorts close to Mykonos Town are a very popular option. 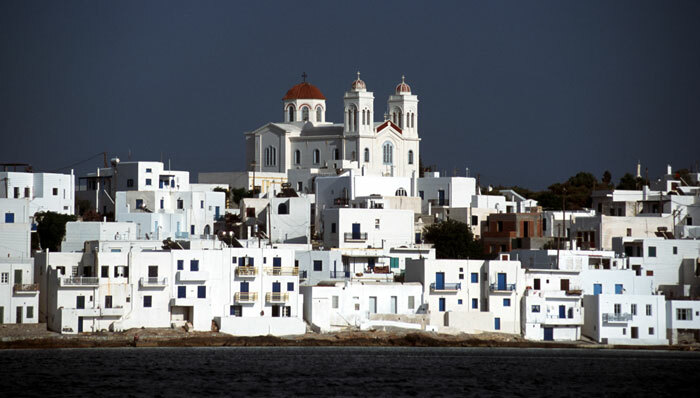 Located in the heart of the Cyclades, Paros is one of the most popular tourist destinations among the Greek islands. Visitors to the island's largest beach - Chrissi Akti or Golden Beach - can enjoy fantastic windsurfing thanks to a constant strong wind here. The capital Parikia boasts many beautiful sights, including the ruins of a Venetian castle and Greece's most important Byzantine monument, the Church of Ekatondapiliani. Then discover tiny chapels and some more beautiful beaches at the village of Naoussa. 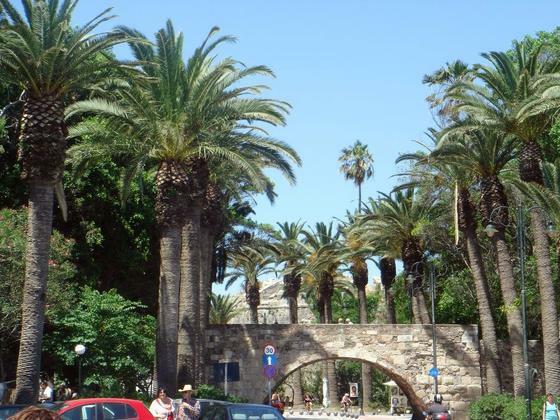 Holidays in Rhodes feature a large Greek island with an exceptionally sunny climate. Rhodes holidays are a consistently popular Greek island holiday choice. 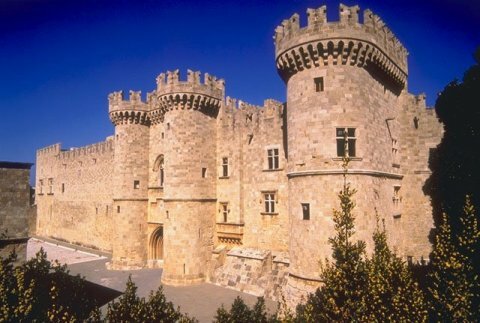 Rhodes holidays owe their popularity to good, well-equipped beaches, superb weather, plenty of cafes, bars and restaurants and a wide choice of resorts. With so many beach holiday resorts on Rhodes it’s not hard to find a Rhodes holiday to suit your requirements. While lively Rhodes resorts like Faliraki often grab the headlines, there are plenty of relatively quiet Rhodes family holidays in smaller resorts centred on the Rhodes beaches of the east coast. Despite the popularity of Rhodes holidays, it is still possible to find immense beaches or small coves free of big crowds. Quieter Rhodes beaches can be found on the less-developed south of the island. Holidays in Samos offer typical Greek island magic, with fine views to Turkey, beautiful countryside, a dash of culture, and pleasantly relaxed nightlife. 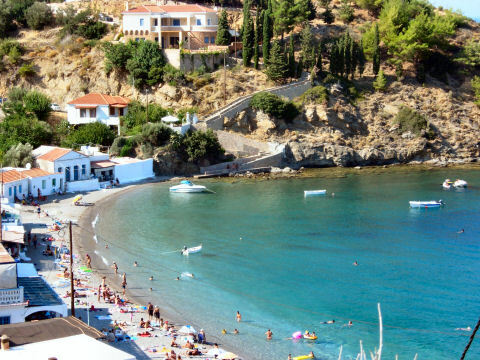 Holidays on Samos feature a Greek island noted for friendliness, relaxation and sunshine. Samos holidays are a popular choice for couples looking for a quiet, relatively low-key Greek island holiday. Samos family holidays feature straightforward, good-value resorts with modern facilities and plenty of cafes, bars and tavernas. While Samos holidays are not noted for hectic nightlife you will always find plenty of waterfront restaurants and tavernas serving Greek specialities, excellent fish and local wine. 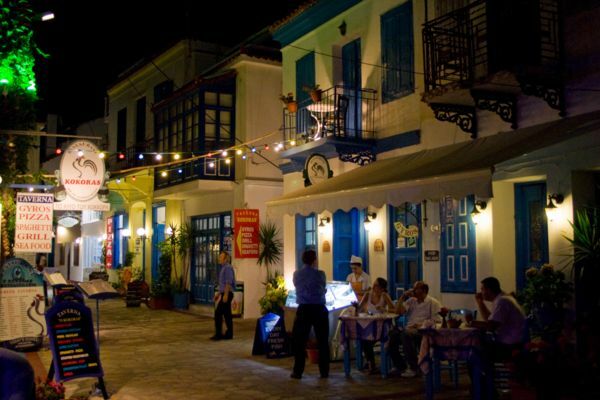 Samos holiday nightlife sometimes extends to the occasional disco in enjoyable all-round resorts like Kokkari. The liveliest Samos holiday scene is found in Samos Town. Santorini holidays live up to their reputation for romance, sophistication, unforgettable views and world-famous sunsets. 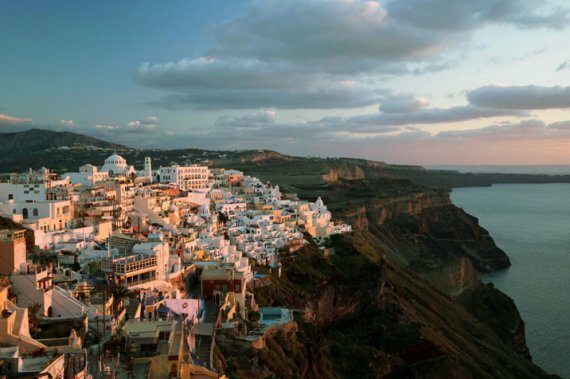 Holidays in Santorini are based on an astonishingly beautiful island in the Cyclades, 65 miles north of Crete. Santorini holidays feature a truly unforgettable, volcanic landscape with an amazing flooded crater. Santorini holidays offer wonderfully picturesque villages with charming, blue-domed churches and sparkling, white cube houses set on steep cliffs. Spectacular locations are a memorable part of all Santorini holidays, particularly the amazing villages clustered along the rim of the crater like Imerovigli and Oia. The fairy-tale atmosphere and glittering villages make Santorini holidays a popular choice for romantic weddings and honeymoons. Corfu, part of the Ionian Islands just west of mainland Greece, is one of the most popular Greek island , fantastic beaches, lively nightlife. One of the first Greek Islands to be developed for the tourist market, Corfu has changed dramatically since the original tourists came in the 1960's, and now much of the coastline has been taken over to make way for cut-price hotels and apartments, discos and English style-pubs, catering for the package holidaymaker who is not so much after a traditional Greek experience, but cheap drink, all-night entertainment and a suntan. Families find Corfu especially appealing, with many safe beaches and resorts full of hotels and complexes with plenty of convenient facilities. Corfu has a reputation for mass-market tourism and saturation, but there is another side to the island just waiting to be discovered - romantic villages, picturesque deserted bays and beautiful green mountainous countryside. Holidays on Kos feature a long narrow island close to the coast of Turkey with 25 miles of fine beaches and a typically Greek hot sunny climate. 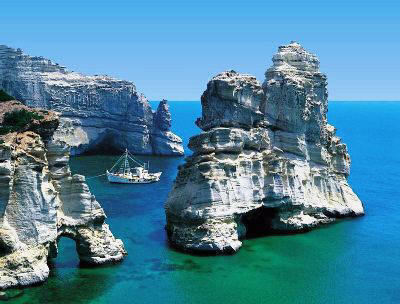 Kos holidays are particularly popular with British holidaymakers looking for a package holiday to the Greek islands. Many Kos holidays are based in the two major Kos resorts of Kardamaena and Kos Town. Kos hotels are concentrated in beach resorts like Lambi and Psalidi on the popular east coast. Quieter Kos holidays are offered in the smaller resorts of the north coast. Kos holidays owe their popularity to plentiful sandy Kos beaches. Many Kos beaches offer exciting watersports and professional scuba diving courses. The island of Chios is part of the North-eastern Aegean Islands. It is located very close to the town of Cesme in Turkey. It is a very beautiful island that is still quite untouched by tourism despite of its various beauties such as its wonderful beaches and its superb medieval villages. The tranquility and authenticity of Chios, along with its varied and verdant landscape, its fine villages and its idyllic beaches make this island an excellent holiday destination. Fly & Stay deals start from 540.00 Euro (£415.00) Air tickets + Accommodation for a weeks stay.